Every so often, the wind cooperates in the most perfect way you can imagine, as was the case with this adorable family portrait taken at St. Monica's Catholic Church in Santa Monica. The bride had just married the love of her life, and we were outside the church photographing the family groups. 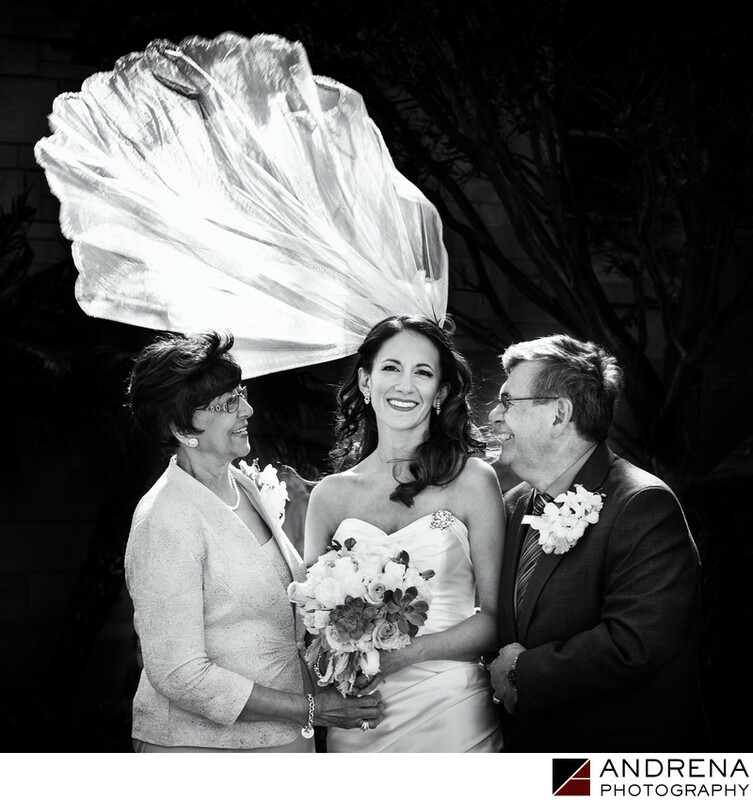 I wanted to do a photo of the bride with her parents, and just as I asked them to look at her, a big gust of wind blew her veil right over the bride's head. The end result made an ordinary family photo into a priceless captured moment. Catholic wedding photographed at St. Monica's Church in Santa Monica, California.